Weekends are usually “How-I-wish-I-had-time” for me :( But this sunday was quite relaxing one after a very long time… On such days, I prefer cooking just-in-no-time but absolutely flavorful!!! It’s usually our day to call home n talk to family… I soaked some chickpeas in super-hot water while preparing tea only… And before a call starts, I pressure-cooked some chickpeas too! As soon as we were done with the call, I got up from the couch and cut the khobz bread into ribbons… Processed n it went into my oven. Cut the khobz/pita bread into ribbons using a pizza cutter. Sprinkle some salt and pepper and toss it quickly. Bake on 200 degrees for around 15-16 mins or until crispy. Take all the ingredients in a jar. Grind it to make it smooth dip/spread. 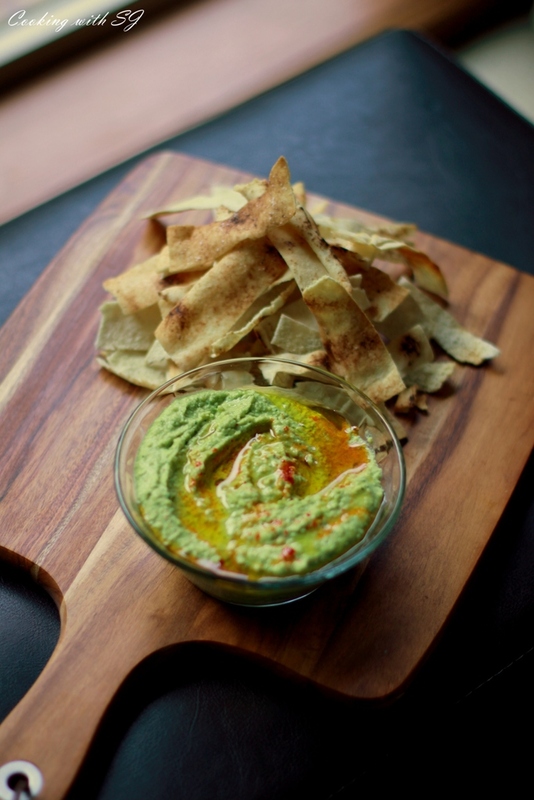 Loved your super quick hummus.Guess u might have had tahini in hand ,am i right? What is evoo mean ? Oh, so easy and so lovely! 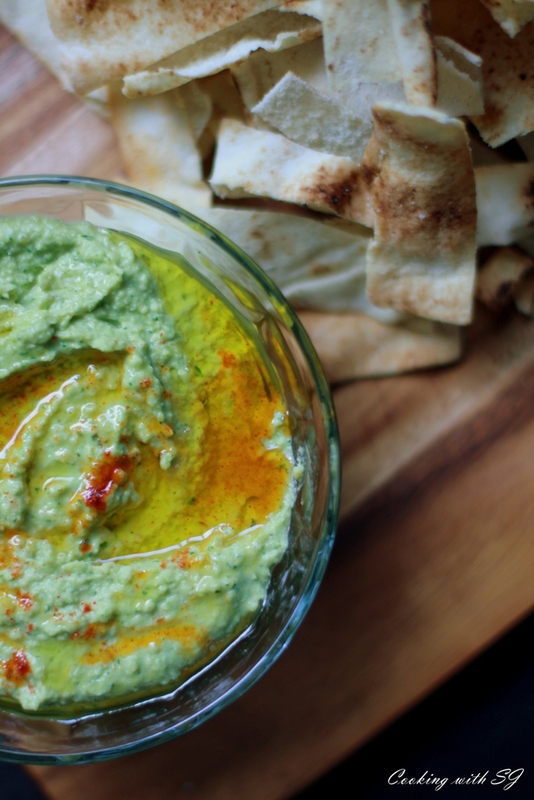 This hummus looks so fresh. I can’t get over the beautiful colour. 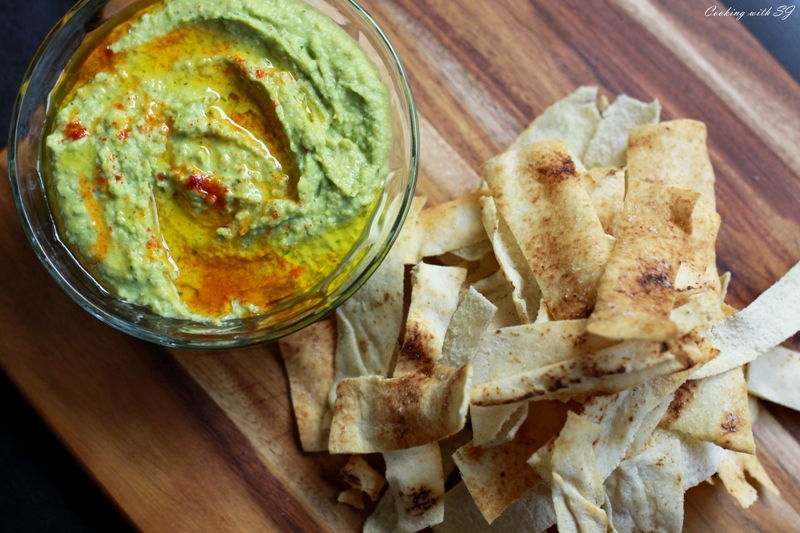 I love how hummus is such a healthy and versatile dip. I’m going to try these flavours out :) Great blog!